Carol Ridyard, from Kent England, has joined the Stitching Pretty family as their latest designer. 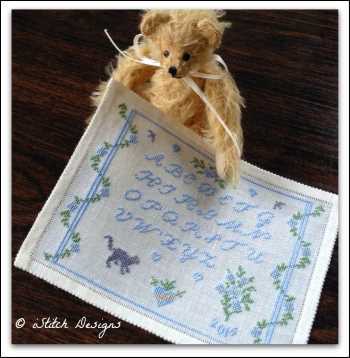 Carol's designs are small and elegant with a "Sew" theme. Little alphabets, high count fabric, and lovely silk threads are her favorites - and they show through in her design work. A legal secretary by trade, Carol's need for creativity came through with her lovely designs. With a beautiful English Garden to sit in as her muse, and the waves of Siesta Key, Florida, she fulfills her dream of stitching and designing.